Rae Sremmurd, a popular rap and hip-hop duo consisting of brothers Swae Lee and Slim Jxmmi performed for students at the Lawrence Joel Veterans Memorial Coliseum on Saturday, March 25 for the Student Union Spring Concert. Many students were excited to see such a popular headliner at Wake Forest. The duo was announced on Jan. 30. 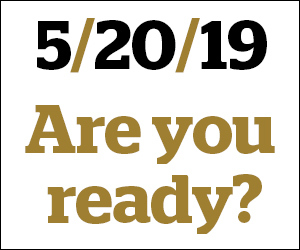 A ticket pre-sale was open exclusively to Wake Forest students, faculty and staff beginning on Monday, Feb 6, with tickets available to the public the following Monday. 600 floor tickets sold out within five hours. This may be a testament to the popularity of the duo and the hype surrounding having a rap group come to campus. Many students felt as though more floor tickets could’ve been sold and more could’ve been done to limit the number of tickets individuals purchased, especially since the concert was general admission. Even so, the concert was very well-attended and the atmosphere exceeded all expectations. The audience seemed to be made of primarily students and everyone seemed really excited and familiar with the music. Shuttles to the concert began at 6:30 p.m. and doors opened at 7 p.m. with the student openers. Dean Chatham (student Jamerdon Dean) performed a memorable set with Langston Michael on the saxophone, including a new song, “One Shot,” which will be released on his upcoming Dean’s List Album in early April. Dean Chatham is extremely talented and his voice is fun to listen to; although the crowd seemed small during his performance, the energy was high and it was clear he had friends and fans in the audience. He also stood out as an opener as everything was performed with live instrumentation, which set his rap style apart from the hard trap style of Rae Sremmurd. Accompanying the duo was Langston’s brother, Justice Michael on drums, who came up from their hometown, Atlanta, for the show. Student Union held a contest in the Magnolia room three weeks before the show where 10 artists competed for that opening slot. Dean Chatham and Michael met last year and began performing together on campus. Michael has also been playing the saxophone for seven to eight years with his hometown band, Anonymous Da Band. The group played at the Atlanta Jazz festival, and recently released its debut album, The Odyssey, on Spotify and iTunes. Following the rap duo and with interludes by the student DJs, Smallpools was the professional opening act for the show. Although students seemed to express interest in the group before the show, many of those students did not buy tickets to the concert. Those who came to see Rae Sremmurd were confused by the pairing of a boy-bandish indie pop group with the hard, urban trap music of Swae Lee and Slim Jxmmi. The band, which formed in 2013 and consists of frontman and vocalist Sean Scanlon, guitarist Mike Kamerman and drummer Beau Kuther, was pleasing to listen to and definitely talented, but seemed out of place. The crowd was small, disinterested and unresponsive, talking throughout their set and even though the upbeat pop group could’ve performed to an excited group of students, those students weren’t present and the group seemed nervous and lackluster. The group played a variety of songs in its set, including its most popular singles, “Dreaming,” which has been remixed by the Chainsmokers, and “Run With the Bulls,” as well as interpolations and covers of songs like Bill Withers’ “Lean on Me.” The group got the crowd excited for a rendition of a song by the Killers, but the track was unrecognizable after they changed the lyrics. 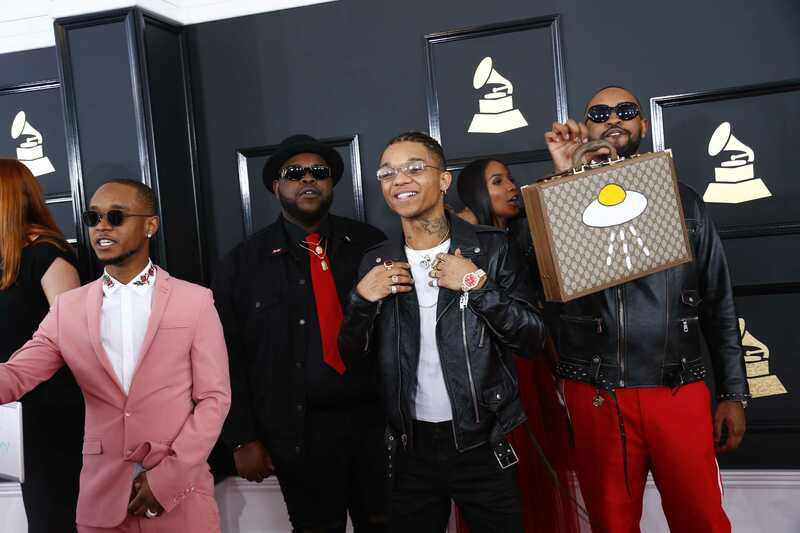 Then, at the end of the set, the group introduced Rae Sremmurd, questioning whether they’d pronounced the group’s name correctly. All-in-all, it was an awkward show. While students seemed disheartened by Smallpools, their expectations were far exceeded during the headliner’s set. Swae Lee (Khalif Malikibnsham Brown) and Slim Jxmmi (Aaquil Ibinshaman Brown), whose stage name comes from his GMC Jimmy, the car he slept in when the duo returned home to Mississippi to make more money after putting their first mixtape online, started performing together in high school with their DJ, Jermarcus Jackson, or D-Jay Sremm. The The three have an incredible stage presence and vibe together effortlessly — their energy feeds off each other until a concert with them feels like both a wild party and a really exclusive show. In 2013, the brothers signed a record deal with Mike Will Made-It’s record label, EarDrummers, which has eight producers and has signed five artists. That’s where their name comes from: reverse each of the words in EarDrummers and you have Rae Sremmurd. The group’s set was perfectly planned and a huge projector screen with videos and lyrics added to the performance rather than being a distraction. The energy of the audience never waned and eyes never left the stage. Students were caught up in the music in an incredible way that was almost magical and the crowd jumped and screamed, danced and swang to the beats with an energy that carried on into the night. The set started with aptly with “Start a Party,” followed by throwback platinum single, “No Flex Zone.” Between songs, Swae Lee energized the crowd and actually praised it. He seemed genuine, which definitely had an impact on students. These were followed by “Come Get Her,” a single popularized by its remix, then “By Chance,” a song off their sophomore album, SremmLife 2. Next was “Unlock the Swag,” which was a perfect choice for the middle of the set, as even those unfamilar with the lyrics were able to easily pick up the words to the chorus, which repeats, “unlock the swag, the swag, unlock” without much variation. Then, the duo did something unexpected. In what was definitely a security nightmare but unified students and instantaneously cranked up the energy levels to 10, Swae and Jxmmi invited everyone to come down to the floor, no matter what tickets they had. Then, two other platinum singles, “Throw Sum Mo,” and “No Type” made an appearance, as well as “Real Chill,” “Swang” and “Look Alive.” There was a great balance of singles and the best of the duo’s discography. The last song of the night was “Black Beatles” It was expected, but it is still the group’s most popular single. It marks their first number one hit on the U.S. Billboard Hot 100 — and it gave Gucci Mane his first number one as well.